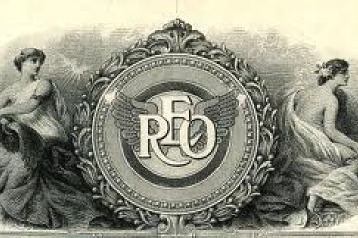 The REO Club of America has "Archives" of correspondence and materials received from Club members. The "Archives" were initially in the possession of Ray Wood. Upon Ray's death in 1996, the materials were passed around between his daughter Beth and a few other Club members until they came to rest in Chesnee, South Carolina at John Barker's REO barn. It was at this time that John became the Club historian. John did his best to organize the mass of materials into a usable system including the purchase of two 4-drawer file cabinets at his expense. Upon John's death, the file cabinets and all their contents came north to East Lansing, MI to Jim Neal's REO barn. The July 2014 donation of the Pete and Bobby Peterson REO papers to the Archives prompted our Club President to ask current Club historian Jim Neal to occasionally submit for publication in the Echo a few interesting historical items from the "Archives". The Club historian's submissions to the Echo will be published on this page, together with other interesting items too long for the Echo.